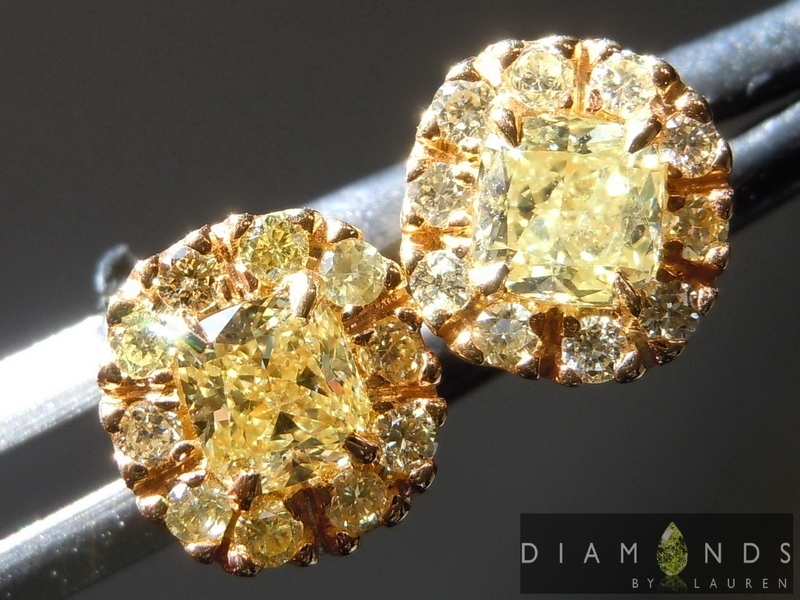 When searching for our hand picked earring diamonds we seek those that have great color and sparkle. 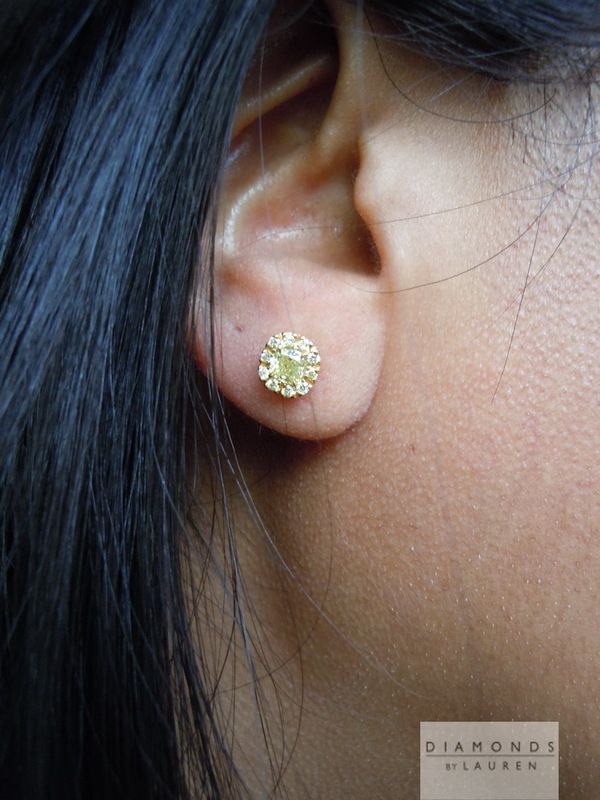 If they are slightly imperfect, it can actually be desirable for earrings, because it makes them far more affordable. This pair has a very strong color - bordering on Fancy Intense Yellow. One is slightly more yellow than the other and in fact might be Intense. 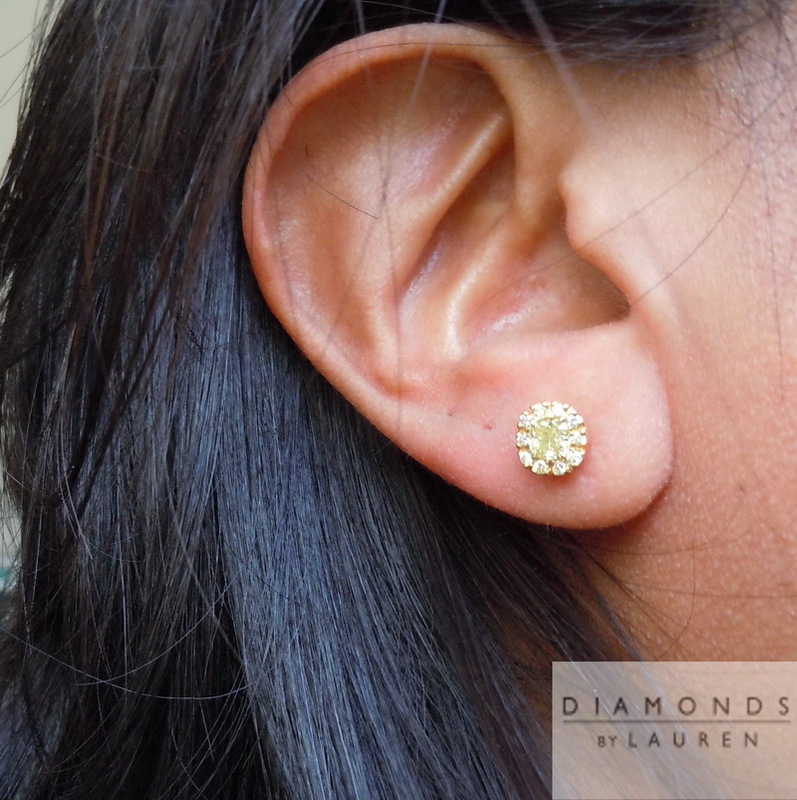 Personally I do not mind if the center diamonds in earrings are not a perfect match, as long as they're complimentary, as this pair is. They have a very nice Fancy Colored diamond cut. 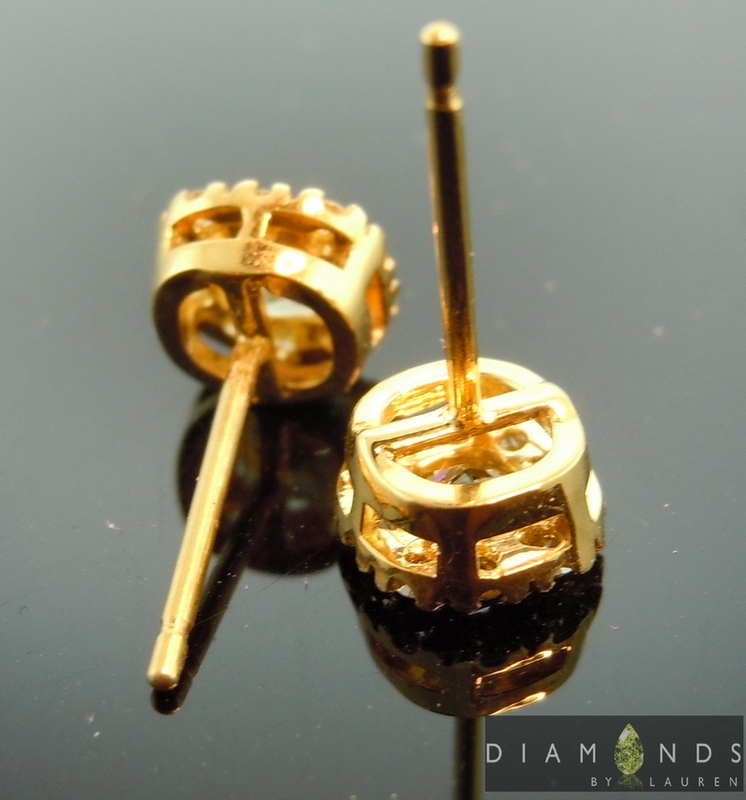 We've crafted a pair of 18kt yellow gold halos, fitted with natural Yellow pavé . The materials and craftsmanship are first rate. What a lovely pair!